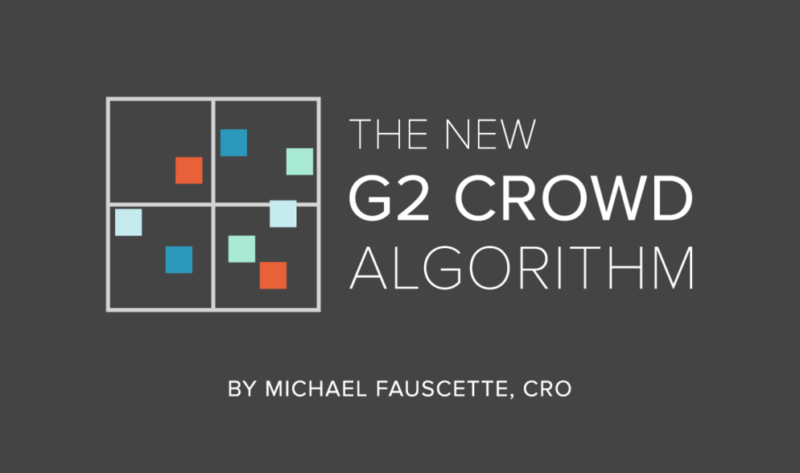 G2 Crowd’s primary goal is to help buyers make better software buying decisions. It was a founding principal for the company and is woven throughout the website, blog and research reports. As a part of that buyer focus, the first product comparison developed using the site review data, which is still the flagship for comparing software products in a category, is the Grid℠. It provides a comparison matrix based on two factors, user satisfaction and market presence, and is continuously updated in real time on the category page. An example of a Grid can be found here. Grids are also released periodically in a Grid Report. Give us the opportunity to survey our community and determine the priority of factors that drive most software buying decisions and thus adjust the weighting and factors to make them more representative of what buyers are actually looking for. Add additional factors in the market presence algorithm to increase it’s accuracy. With those qualifications set, we formed a project team that included the research team, the development team and an outside expert on modeling and game theory, Christof Schlindwein. We kicked off the project to build version two last March. Reducing the impact of the Net Promoter Score (NPS) on the satisfaction algorithm (the survey showed that it was the least impactful factor by quite a margin). Adding a factor that rewards higher quality reviews by making them worth more in the calculations (quality is measured in our review evaluation algorithm and validated by our QA team). Adding several new data elements to the market presence algorithm. Revising the data sources for many of the data elements in the market presence algorithm. Changing how missing or “backup” data points influenced the algorithm to increase accuracy. Refining how reviews “age” to make it more important for products to have current reviews that more accurately reflect the product releases currently available. And that’s just a quick summary; there are many more small changes that increase accuracy. As you can see, quite a lot of effort went into this new version in order to represent the review data most accurately. After many weeks of testing the new algorithm, it is now live on the site across all categories. If you have any questions on version two email us at research@g2crowd.com.